One of her clients said: "Kirsty has been my vet for 8 years! She is now like a member of my family! My pets are treated as if they were her own. She is bubbly and always so lovely to be around! I would trust her with my own life! She oozes passion for pets"
I have confidently taken my menagerie of pets to Kirsty for the last 8yrs. Kirsty's love and dedication to her work is not just limited to dogs and cats. Kirsty has been my Vet for the last 8 years. Kirsty is compassionate & extremely knowledgeable. 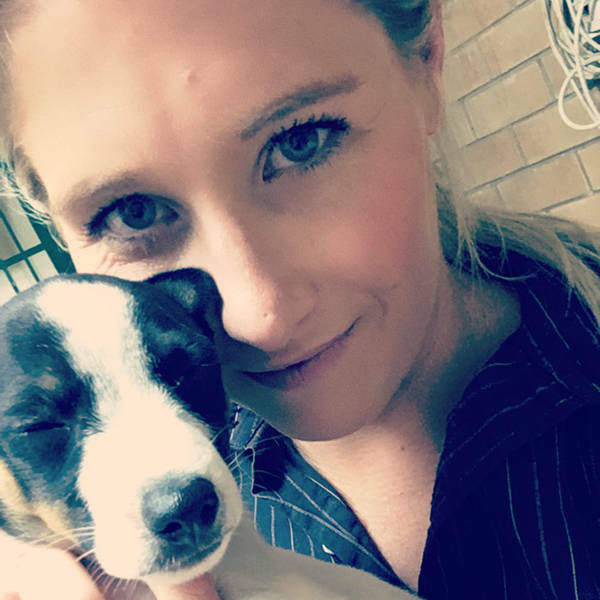 As a registered breeder of Pedigree Show Dogs, Kirsty has been on hand for all of my dogs' needs from routine vaccinations, health checks and dentals through to emergency cesareans and baby puppy conundrums. Dr kirsty is such an amazing vet! I'm so glad to have had the privilege to work along side her and to see her dedication and passion for her patients. The most down to earth vet I have ever met! Honestly cares about your pet and not how much money they can charge. My baby always shakes at the vet and after a cuddle from Kirsty he stopped shaking (which has never happened anywhere else). Kirsty #1 for Bondi Vet! Kirsty is an amazing vet and shows alot of compassion, she helped us through everything with our beloved passed at 16 years old cat, it really felt like it was hard for her as well when we had to make that hard decision that no one wants to make. Kirsty is a awesome Vet. Our family bought Tyke at 9 weeks. After a week he had a broken leg. It was a very stressful time but we were in great hands!! Animals are No.1 in her mind and she would be a great Bondi Vet!! Kirsty is a fantastic Vet and an even better person!! She is always giving me advice and helping when my dog Barkley is unwell!! Even when she's not at work! She is a fun positive and outgoing person and would be an asset to the show! I met kirsty through the gym, however knowing such a beautiful kind soul puts me at ease knowing we have the perfect person to trust with our puppies when we need her!